When I was young, my mom was very adamant about keeping me from using foundations and creams on my face and assured me I can achieve dewy skin naturally. She always preferred the natural look and encouraged me to use home remedies instead. I’ve been using yogurt-based face masks ever since I was 13 years old, and they always does wonders for my skin. This particular mask is by far the best I have ever tried and I always go back to it. It helps dry up acne, diminishes scars and leaves the skin with a soft glow and a dewy look. I highly recommend you give it a try and I promise you will love it! 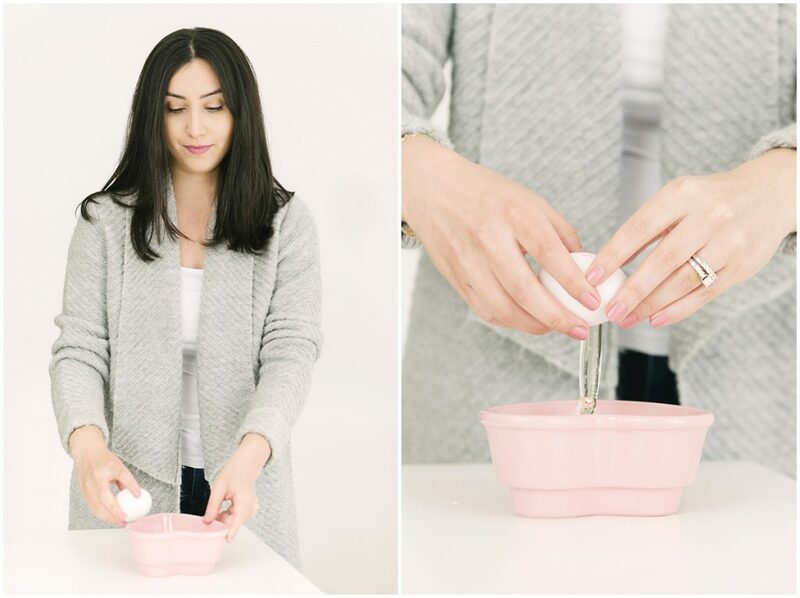 First, Put the yogurt in a bowl and mix it up until it’s smooth. 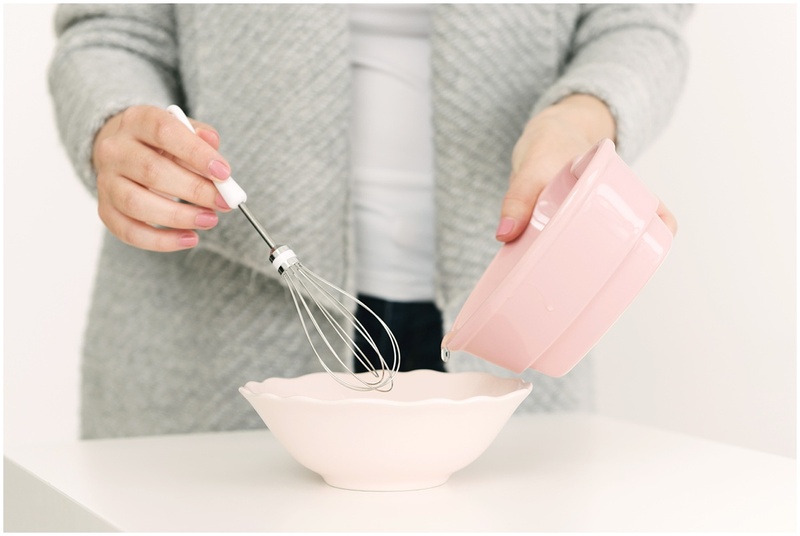 Then in a second bowl, separate about 2 tablespoons of an egg white. 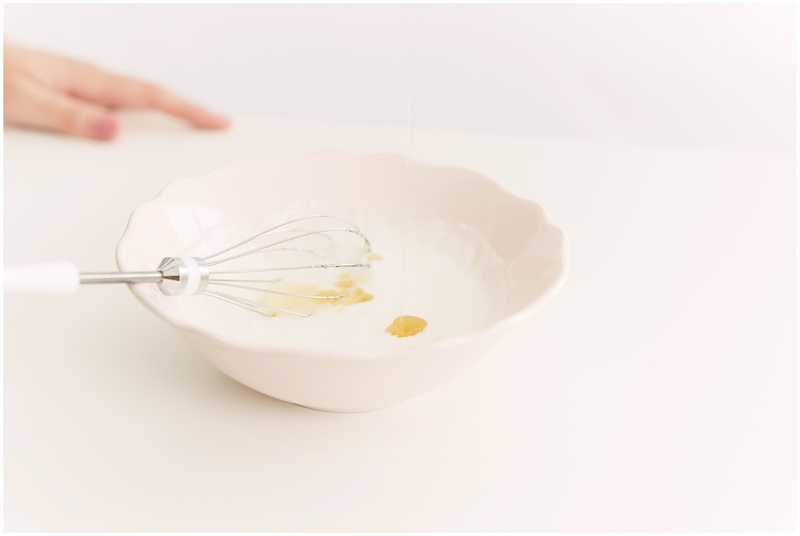 Drop the egg white into the yogurt and whisk them together. 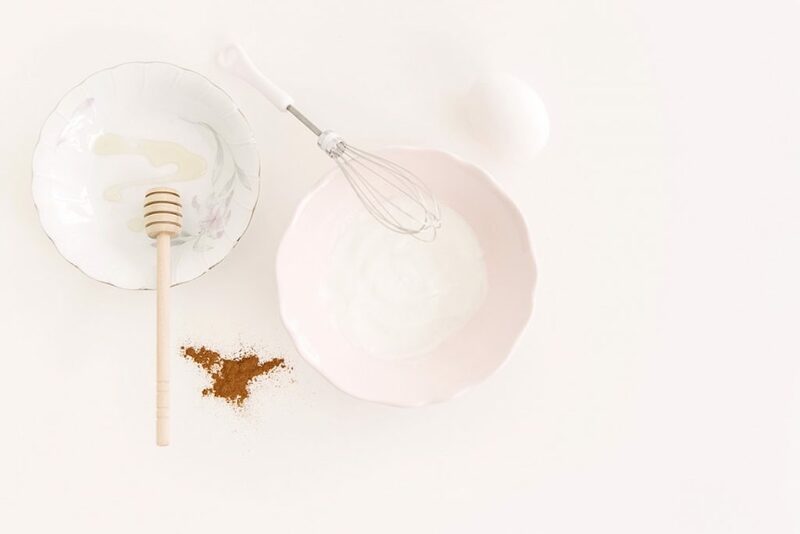 After you’ve combined the egg whites and yogurt, start drizzling some honey over the mix. Finally for an added kick of potency, add a pinch of cinnamon. 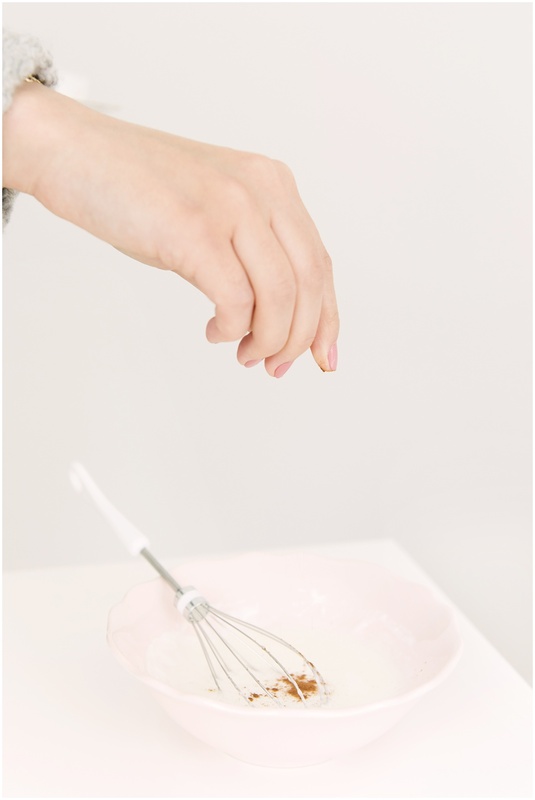 Whisk them all together and apply on your face with a cotton swab or foundation brush. Leave it on for 15 – 20 minutes. You should feel it tighten on your face. I like to remove it with a sponge for some extra exfoliation. It is quite smelly, but so worth it! *Watch out not to get any yolk in the mix or that could cause your face to break out. Also, make sure you don’t have any allergies or sensitivity from cinnamon. 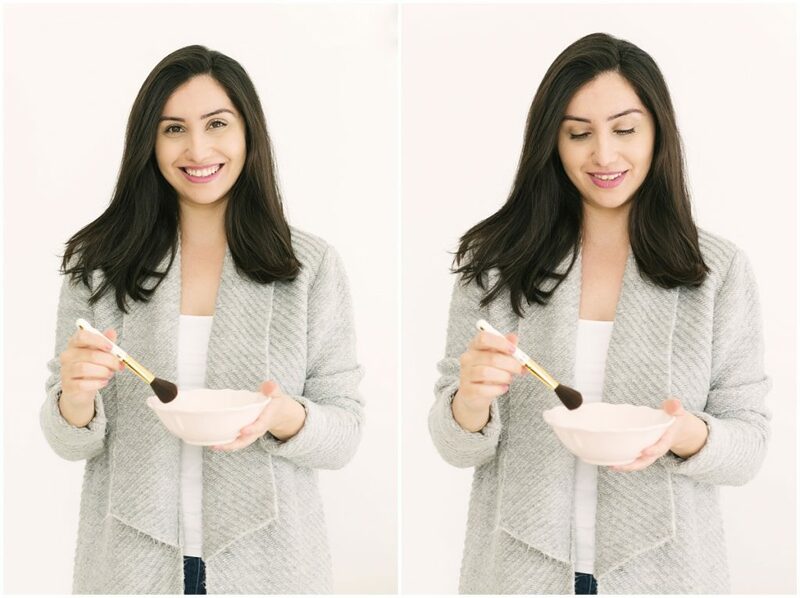 I hope you try this dewy skin mask and love it as much as I do. Let me know if you like the results, I’d love to hear from you! Cardigan from Violetta by Mango. For more on Fashion, Beauty, Lifestyle, and Travel.